JEFFERSON - A memorial service and celebration of the life of John Peter Trksak will be offered at 2 p.m. on Wednesday, March 4, 2015 in the Jefferson United Methodist Church. SPRINGFIELD - Catherine Frances Powers Bartlett died peacefully Tuesday evening, February 24, 2015, at Bassett Medical Center in Cooperstown, with her family by her side. She was 82. Born March 11, 1932, in Brooklyn, Catherine was a daughter of Allen and Margaret F. (Murphy) Powers. She married Robert A. Bartlett, Sr. on January 20, 1957, in Cooperstown, and lived in their home on Bartlett Road in the Town of Springfield for the next 58 years. A graduate of Cooperstown Central School, she attended nursing school and served for many years in nursing at Mary Imogene Bassett Hospital in Cooperstown. Catherine was a member of St. Mary's Episcopal Church in Springfield Center, and enjoyed sewing. Surviving are her children, Robert A. Bartlett, Jr., DVM, of Columbia, Pennsylvania, and Stephen A. Bartlett and James E. Bartlett and his wife, Tammy, all of Springfield; and four grandchildren, Thomas, Sarah, Katie and Luke Bartlett. Catherine also had three sisters, Eileen Barown and her husband, Bart, of Mt. Vision, Bride and Rosemary, as well as several nieces and nephews. She was predeceased by her husband of 50 years, Robert A. Bartlett, Sr., who died January 15, 2006. 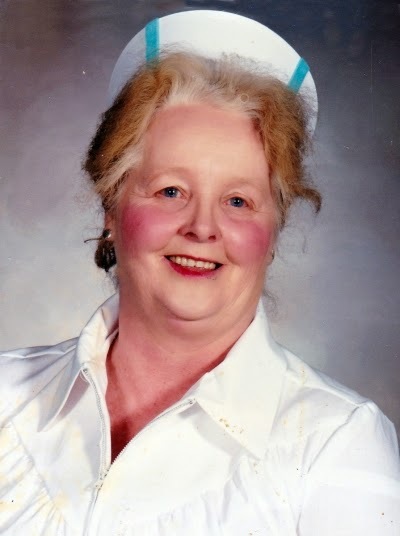 HARTWICK - Amelia R. Fuller, a long-time resident of Hartwick, passed away peacefully with her daughters by her side early Tuesday morning, February 17, 2015, at Focus Rehabilitation and Nursing Center at Otsego. She was 94. Born December 4, 1920, at home in Phoenix Mills, she was a daughter of Charles and Nellie (Dodge) Huestis. As a young child, she and her family moved to Hartwick. In 1938, Amelia graduated from Hartwick High School. Ten years later, she married Henry Fuller on January 18, 1948, and together they raised their family in their home on East Main Street in Hartwick, where Amelia remained for the rest of her life. For a time, Amelia was employed as a nurse's aide at the original Otsego County Farm and Home at Phoenix Mills, which was located near where the Otsego County Home and Infirmary ("The Meadows") was later built. While her daughters were growing up, she stayed at home to raise them. In later years she took care of elderly people at their homes. Granny, as she was affectionately known by family and friends alike, was always involved with her community, and through the years helped out with 4-H and Little League and was an active member of the Hartwick Christian Church. Long before scrapbooking became a hobby, Granny was an avid creator of many, many scrapbooks that chronicled the lives of her family as well as events in and around Hartwick. She truly enjoyed creating and keeping these records of everyday life. Granny had a love for flowers and plants, and always had something growing both inside her home and outside in her many gardens. Even after she came to reside at Otsego Manor, she was known to take a cutting of a plant from outside and nurture it along in her room. A somewhat feisty but loveable woman, she will be fondly remembered and greatly missed by her family and friends. Granny is survived by her two daughters and sons-in-law, Rev. Evelina Fuller-Lincoln and her husband, David Carl, Sr., of Oneonta, and Jean Dibble and her husband, Ken, of Hartwick; five grandchildren, David Jr., John and Michael Lincoln, and Jennifer and Danielle Dibble; and ten great grandchildren, Megan Lincoln, Xanthian Lincoln, Tristan, Christopher, Sadie and Emily Lincoln, Brandon Morning, John Lincoln, Jr., Jayson Morning, and Magnolia Lincoln. She is further survived by countless nieces and nephews, including one very dear and special niece, Elaine Stergas, who always remembered Granny. She was preceded in death by her father, Charlie Huestis, who died August 1, 1942; her mother, Nellie Huestis, who died January 14, 1963; her husband, Henry Fuller, who died December 12, 1975; and three siblings, Charles and Stanley Huestis and Ruth Cooper. A celebration of Granny's life will be offered at 2 p.m. on Saturday, February 28, 2015, at the Hartwick Christian Church, with the Rev. Laverne H. Saxer, pastor, officiating. She will be laid to rest with her husband later this Spring in the Hartwick Cemetery. With respect for Granny's love for children, her family kindly asks that memorial gifts be directed in her memory to St. Jude Children's Research Hospital, 501 St. Jude Place, Memphis, TN 38105. CHRISTIAN HILL - Marion Ann Green, 93, of Christian Hill, died Friday evening, February 6, 2015, at Bassett Medical Center in Cooperstown. Born January 10, 1922, in Oneida, she was a daughter of Fred and Bettina (Sidoti) De Angelo. Raised in Oneonta, Marion graduated from Oneonta High School in 1939. She then attended Hartwick College, graduating in 1943, and completed graduate work at the Oneonta Normal School and Albany State College. For 20 years, she was an English teacher at Cooperstown High School, and for a time at the Hartwick School. She also served as a national judge for high school writing contests. On June 29, 1944,Marion married Lynn Edward Green, Sr. in Oneonta, and they made their home on her husband's family farm, Orchardside on Christian Hill. On September 22, 1981, Mr. Green died. Marion then moved to Florida and married Lester Dixon on April 14, 1985, in Naples. He died June 26, 1990. Upon her return to the Cooperstown area, Marion returned to Orchardside, and for the past five years resided at Woodside Hall. 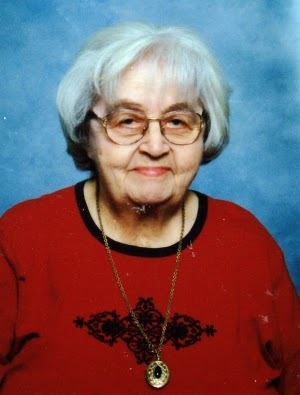 Throughout her life, Marion was actively involved with many organizations. She was a member of the New York State Teacher's Association, the Cooperstown Women's Club-serving as President from 1977 to1978, was a past president of the Hartwick Home Bureau, and Otsego Extension, serving on that Board for 10 years. A member of the Town of Hartwick Democratic Committee, she was one of the original members of the Hartwick Planning Board, serving from April 14, 1975 until January 1, 1986. She was also President and Trustee of the Kinney Memorial Library for 16 years, was Hartwick Town Historian from 1975 until 1985, Youth Program Chairman for the Red Cross of Northern Otsego County, and was published in several professional magazines, including "Eastern Milk Producer", for which she was a columnist for 35 years. In addition to both her husbands, Marion was preceded in death by her only child, Lynn Edward Green, Jr., founder of Green and Green, Attorneys at Law in Cooperstown, who died unexpectedly July 8, 2013. She was also predeceased by three sisters, Fortunata Mapes, Bettina Silliman, and Rosemary Falle, and a brother, Fred De Angelo. She is survived by her daughter-in-law, Judith L. Green, of Christian Hill; three grandchildren, William C. Green and wife, Susan, of Hartwick, Amanda L. Green and husband, Paul Marini, of Oakland, CA, and Jillian A. Green and husband, Christopher Watters, of Berkeley, CA; and five great grandchildren, Anders, Henrik, Alistair, Ilaria, and Nico. Services will be private. Marion will be laid to rest later this spring in the Green Family Plot in Hartwick Cemetery. Marion's family extends their deep appreciation and thanks to everyone at Woodside Hall for the loving care offered to Marion for the past five years. Memorial gifts may be made in memory of Marion to the Kinney Memorial Library, 3140 County Highway 11, P.O. Box 176, Hartwick, NY 13348. COOPERSTOWN - Douglas John (Lovey) Welsh, a life-long resident of Cooperstown, passed away February 5, 2015. He was born April 23, 1929, in Cooperstown, a son of David and Annie (Dickson) Welsh. He was 85 and had been a resident at the New York State Veterans' Home at Oxford for the past year. Doug graduated from Cooperstown High School in 1948. During his high school years he was a prominent athlete, participating in football, basketball and baseball, under the tutelage of Coach "Red" Bursey. After graduating from high school he attended the State University of New York Agricultural and Technical Institute at Delhi. Later he was employed by the Leatherstocking Corporation in Cooperstown. During those years he helped relocate the historic buildings of Todd's General Store and The Blacksmith Shop, as well as The Cardiff Giant to The Village Crossroad at The Farmers' Museum in Cooperstown. In 1949, while working on the addition to The Baseball Hall of Fame, Doug heroically rescued a one-year old child from his crib in a burning nearby apartment building. He was honored by the Cooperstown Rotary Club for his heroism. Doug joined the United States Army in December 1950 and served in Korea until his Honorable Discharge on November 27, 1952, with the rank of Sergeant. After returning home he worked with and learned the carpentry trade from Eugene Willsey, a prominent Cooperstown builder. Prior to that Doug had worked with Pete Jones, another local craftsman, and from him learned the masonry trade. One of his jobs, working with Mr. Jones, was repairing the chimney stack at the Otesaga Hotel. Doug was then self-employed for many years until joining the workforce of the New York State Office of Parks, Recreation and Historic Preservation, helping to maintain and repair many of their historic buildings. He retired from the State in 1994 after 23 years of service. Doug was an avid hunter and fisherman and spent many days hunting in the Adirondacks and Vermont with family and friends. In 1945, on one of those hunting trips, his eighteen year old brother, Robert Welsh, was fatally shot by another hunter. He was a member of the Cooperstown Sportsman's Association, the Sgt. Walter P. Eggleston Veterans of Foreign Wars Post No. 7128 in Cooperstown, the Milford American Legion Post No. 1556 and the Calhoun Hunting Camp. Doug was predeceased by his sister, Grace Welsh, and three brothers, David, Robert and Alastair Welsh. He is survived by his sister Annie Bantham and her husband Harvey of Saratoga Springs, his niece, Shelley Fredericks and her husband Mark of West Milford, NJ, nephews, Daniel Bantham and his wife Kimberly of Merrimack, NH and Tim Bantham and his wife Martina of Ballston Spa; and a sister-in-law, Becky Welsh, along with several great nieces and nephews. Many thanks to his good friends, Joni and Ben Snyder, Dave Lamb, Liz Partlow, and Sandy and Marshall Thorne, for the love and care that they gave him. Anyone wishing to make a donation in memory of Doug may give to a charity or institution of one's choice. Funeral services will be private. His remains will be placed in the Ecumenical Columbarium at Christ Church at a future date. COOPERSTOWN - A Service of Remembrance and Thanksgiving for the Life of Douglas John (Lovey) Welsh will be offered at 1 o'clock in the afternoon of Saturday, 20 June 2015 in Saint Agnes Chapel at Christ Church, Cooperstown, with the Rev'd Fr Matthew R Stromberg, Curate, officiating. Following the service in the Chapel, the funeral toll will mark the 85 years of Douglas' life as all process to the Ecumenical Columbarium in the Church-yard at Christ Church for the Burial Service and interment. Military Honors will be accorded by member of the Cooperstown Veterans Club and the New York State Military Forces Honor Guard. COOPERSTOWN - William Morris Bowes, 89, died Tuesday afternoon, February 3, 2015, at Fulton Center for Rehabilitation and Healthcare in Gloversville. Born May 12, 1925, in Albany, he was the son of Thomas C. and Margaret (Dilts) Bowes. Raised in Oneonta, he attended St. Mary's Catholic School and graduated from Oneonta High School. 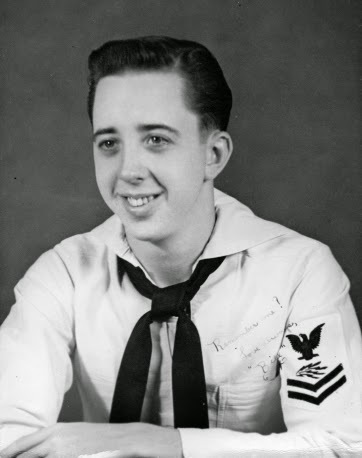 On May 8, 1943, Bill entered into active duty with the United States Navy and served his country during World War II as a Radioman. He was stationed onboard the USS Santee -- an aircraft carrier -- and was involved in many naval battles. Bill could still recall with clarity October 25, 1944, the day a kamikaze plane crashed into her flight deck, immediately followed by a torpedo fired from a Japanese submarine. "I saw that torpedo come right towards us and explode." Though Bill was proud of his military service, his greatest wish was for world peace. America has lost another hero of the greatest generation. Like all those who served and passed before him, he will be on eternal patrol. On February 13, 1946, he received his honorable discharge. Following his military service, he attended St. Bernadine of Siena College in Loudonville, graduating in 1951 with a degree in sociology. From 1951 to 1956 he was employed as a resident inspector of Naval Material at the Scintilla Magneto Bendix Aviation Corporation in Sidney. He then went to work for Pratt and Whitney Aircraft Corporation as a supervisor for Quality Assurance, and travelled extensively throughout the United States, the Middle East and Europe. He retired in 1987 and resided in Leesburg, Florida. In August 2005, Bill moved to Cooperstown and joined his sister, Alberta, at the Clara Welch Thanksgiving Home. A communicant of St. Mary's "Our Lady of the Lake" Roman Catholic Church in Cooperstown, Bill was also a cherished life member of the Clark F. Simmons American Legion Post No. 579 and the Sgt. Walter P. Eggleston Veterans of Foreign Wars Post No. 7128 in Cooperstown, as well as the Benevolent and Protective Order of Elks, Lodge No. 1312 in Oneonta. Bill was predeceased by his beloved sister, Alberta Anna Bowes, who died June 16, 2014. A Liturgy of Christian Burial will be offered at 10 a.m. on Saturday, February 14, 2015, at St. Mary's "Our Lady of the Lake" Roman Catholic Church in Cooperstown, with Fr. John P. Rosson, pastor, presiding. Burial with Military Honors will take place later this Spring in Mount Calvary Cemetery in Emmons, where Bill will be laid to rest near his parents and sister. HARTWICK - Christopher William McGuire, 43, of Hartwick, passed away in his home early Thursday morning, January 22, 2015. He was born October 1, 1971, in the City of Manchester, New Hampshire, a son of William Joseph and Barbaralee Marion (Toula) McGuire. On May 20, 1995, Chris married Sarah Westphal in a ceremony at the Old Stone Church in Schuyler Lake. Chris is survived by his wife of 20 years, Sarah McGuire, of Hartwick; three children, Ryan Parker McGuire of Hartwick and Jason Edward Conklin and his fiancée, Lindsay M. Valentine, of Cortlandt Manor, and Steven Olson of Chadwicks; and a brother, David Hillsgrove and his wife, Amanda, of Dolgeville. A Celebration of Chris' life was held at his home on Sunday, January 25, 2015. Chris' family is grateful to the many people who came by their home that day and paid their respects-the outpouring of support from friends and neighbors is truly appreciated. At a future date, Chris will be laid to rest in Hartwick Cemetery. MILFORD - Earl Jay Beers, formerly of Hinman Hollow, Milford, passed into eternal life Monday evening, January 26, 2015, at Focus Rehabilitation and Nursing Center at Otsego with family by his side. He was 90. A native of Delaware County, Earl was born May 23, 1924, in Beerston, the son of Jesse James Beers and Anna Grace Pearsall Beers. After attending Delaware Literary Institute in Franklin , he left school in his senior year to join the military and was inducted into the Army of the United States on March 26, 1943. He proudly served his country in France during World War II as a lineman for telephone and telegraph lines and received his Honorable Discharge on February 10, 1946. On October 18, 1947, Earl married Doris Emmeline Lyon in a ceremony at the Evangelical Lutheran Church in Hartwick Seminary. He was first employed at Ohmies of Oneonta. In 1954 he went to work for Otsego Wholesale Electric in Oneonta where he was a counter man, servicing many electrical contractors in Otsego and surrounding counties. After the sale of Otsego Wholesale he went to work for Allied Electric in Oneonta. For many years he was an electrician for family and friends. Earl enjoyed camping all his life and his four children became avid campers at young ages. He also enjoyed bowling and was on many leagues at the Cooperstown Bowl-A-Rama and the Milford Bowling Alley. An avid fan of the Atlanta Braves, he cheered them on for many years as he watched them on TV. Most of all, Earl enjoyed spending time with his family and after his retirement he and Doris enjoyed traveling and made many trips to California to visit their son. Earl and Doris are among the oldest members of the Evangelical Lutheran Church in Hartwick Seminary, where Earl served as a councilman for many years. A 61-year member of the Milford American Legion Post 1566, he was also a member and Past Master of the Hinman Hollow Grange, a former Boy Scout leader and assessor for the Town of Hartwick. Earl is survived by his wife of 67 years, Doris L. Beers; two sons, David E. Beers (Alicia Mendoza) of San Diego, CA and Bradley L. Beers (Gloria Marlette) of Mount Vision; two daughters, Debra S.(Bruce) Hildenbrand of Hinman Hollow, Milford and Pamela J. (Wayne) Phillips of Oneonta; nine grandchildren, Crystal Hildenbrand, Brandi Insetta, Jason Beers, Jennifer Mann, Kendra Capraro, Bryan Beers, Nathan Phillips, Chad Phillips and Matthew Phillips; and twelve great-grandchildren. He is also survived by two sisters, Letha Hulbert of West Oneonta and Pauline Peck of Albion; and many nieces and nephews and their extended families and a special nephew, Randy Hulbert of Milford. Services will be held later this Spring. FLY CREEK - Henry Edward Walker, a long-time resident of New Jersey, died peacefully Sunday evening, February 1, 2015, surrounded by family at the Fly Creek home of his daughter and son-in-law, Jacqueline and Jim Brophy. He was 87. Born January 13, 1928, in Astoria, Queens, Hank was the son of Peter and Veronica (Bugajska) Walkiewicz. Following his graduation from high school, he attended Clarkson University and graduated with a bachelor of science degree in electrical engineering. He then went to work for General Electric as a test engineer. On November 16, 1948, he entered into active service with the United States Army. He continued with electrical engineering while in the service, and eventually received his honorable discharge on August 31, 1953, having attained the rank of First Lieutenant. He continued in the Army Reserves until 1981, having attained the rank of Colonel. He was a proud participant in the Army War College at the Pentagon. Concurrent to his Army Reserve service, Hank enjoyed a long career with General Electric, eventually retiring from Square D (now Schneider Electric) in Secaucus, New Jersey, as an electrical engineer. After fully retiring, he was a man who liked to stay active. He learned to become a licensed casino games dealer and worked for a few casinos in Atlantic City until age 75. Of the Roman Catholic faith, he was a communicant of St. Joseph's Roman Catholic Church in Hackensack, New Jersey. Hank is survived by his wife, Dorothy M. Walker, of River Edge, New Jersey; three daughters and sons-in-law, Jacqueline and James Brophy of Fly Creek (with whom Hank made his home since January 2013), Catherine and Vincent Bruno of Effort, Pennsylvania, and Denise and David Prahl of Edgewater, Florida; one granddaughter, Alexandra Pugliese and her husband, Michael; and one great granddaughter, Briella Mary Pugliese. Services will be private. He will be laid to rest on Long Island with his parents in St. Charles Cemetery, Farmingdale. Memorial gifts may be made in memory of Mr. Henry E. Walker to The Angel Network of Cooperstown, Inc., P.O. Box 1186, Cooperstown, NY 13326. The Walker Family would like to thank all the caregivers, nurses, and providers at Bassett Healthcare, At Home Care and Hospice for the quality care he received while a member of our community.